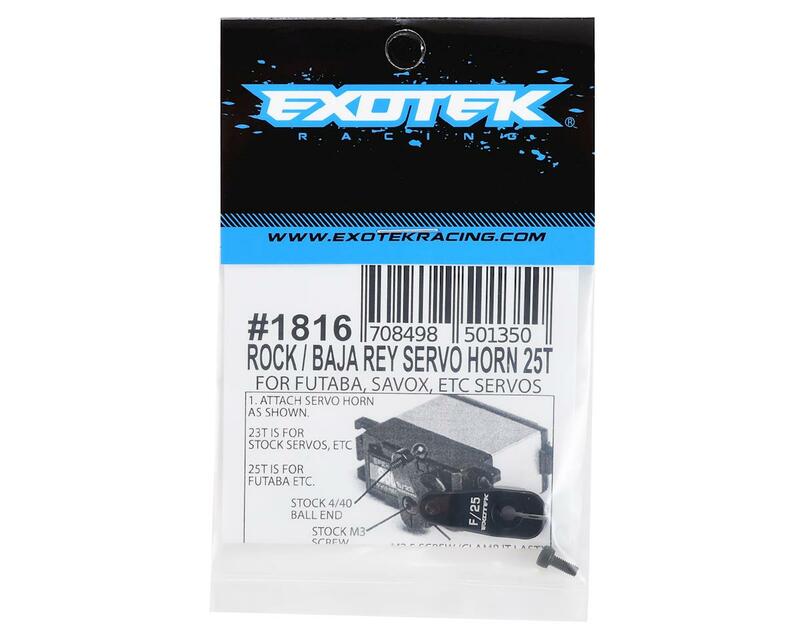 The Exotek Rock/Baja Rey Clamping Aluminum Servo Arm matches the dimensions of and geometry of the stock horn to allow a perfect fit. With the clamping design you will maintain exact servo alignment, and maintain it better than a non clamping servo horn, because non clamping horns wear out at the teeth and becomes sloppy over time. Polished and anodized in factory black and laser etched this horn will help to provide precise steering and robust performance in your high powered rig. The horn uses the stock Losi 4/40 ball end, and includes a large M2.5 clamping screw. 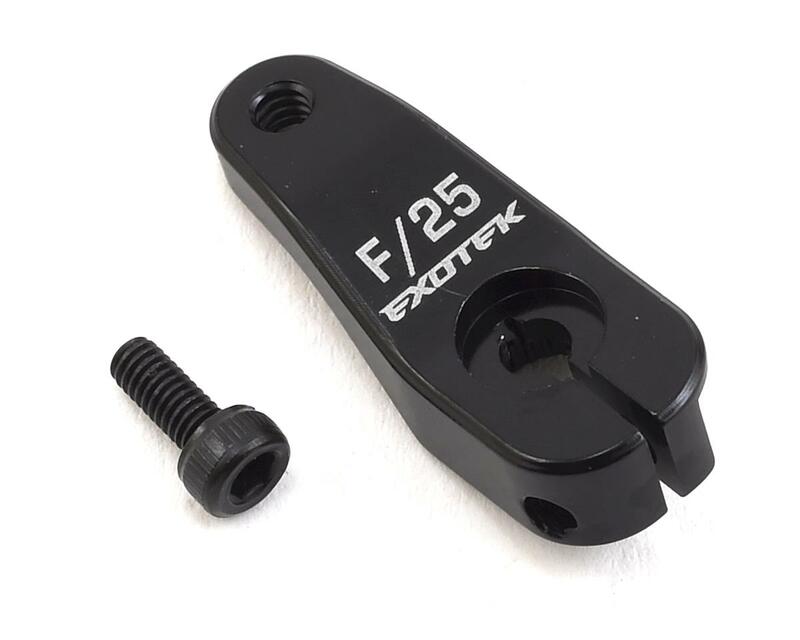 Fits the stock servo or any other aftermarket 25 spline servo by Futaba, ProTek, Savox etc. NOTE: Slight trimming of the plastic servo mount is needed for servo horn clearance.